Analiza Justo, M.D. is a certified Obstetrician and Gynecologist. LIVINGSTON, February 6, 2016 - CHI St. Luke’s Health Memorial Livingston welcomes Analiza Justo, M.D. to the medical staff in Polk County. Dr. Justo is a board certified Obstetrician and Gynecologist and joins the Memorial Clinics team. Dr. Justo specializes in well woman exams, labor and delivery, and routine obstetrics and gynecology. She comes from Columbia Memorial Hospital in Astoria, Oregon where she was an attending physician in Obstetrics and Gynecology since 2012. Before that she worked at Good Shepherd Medical Center in Hermiston, Oregon and Harrison County Hospital in Corydon, Indiana also as an attending OB/GYN. 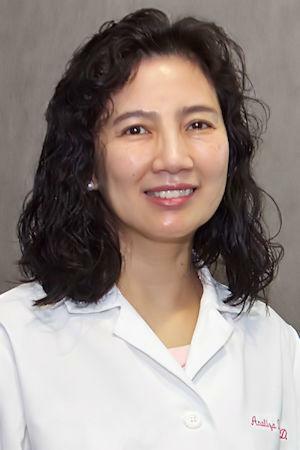 Dr. Justo completed her internship in Family Medicine in 2005 and her residency in Obstetrics and Gynecology at Charleston Area Medical Center/WVU-Charleston Division in Charleston, West Virginia and Saint Vincent’s Hospital (Richmond University Medical Center) in Staten Island, New York in 2009. Prior to her residency in the United States, Dr. Justo completed an additional residency in OB/GYN at the Dr. Paulino J. Garcia Research and Medical Center in Cabanatuan City, Philippines, and an internship at the Philippine General Hospital in Manila, Philippines. Dr. Justo is now seeing patients at the Medical Arts Pavilion located at 403 Ogletree Drive, Suite 205 in Livingston. Patients can schedule an appointment by calling 936-327-5686. Her office hours are Monday through Thursday from 8 a.m. to 5 p.m. and Friday 8 a.m. to noon. Her office accepts most major insurance, Medicare and Medicaid.